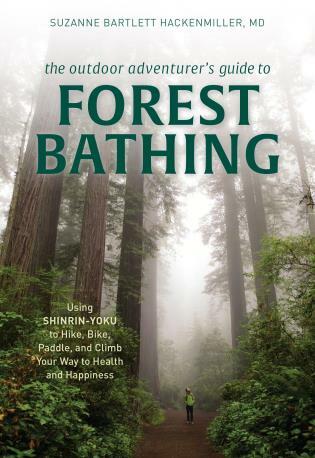 The first and only guide to shinrin-yoku for the outdoor adventurer! With techniques tailored for hiking, mountain biking, paddling, climbing, trail-running, and cross-country skiing, this is the definitive guide to applying the healthy and rejuvenating practice of forest bathing to your favorite activities. The Outdoor Adventurer's Guide to Forest Bathing is the only book you'll need to get up, get out, and feel better! About Bartlett Hackenmiller, Suzanne, M.D. Suzanne Bartlett Hackenmiller, M.D is an Integrative Medicine physician from Cedar Falls, Iowa and board certified by the American Board of Integrative Medicine (as well as the American Board of Obstetrics and Gynecology). She currently serves as medical director for the Association of Nature and Forest Therapy and leads workshops that combine hiking, mountain biking, and kayaking with the practice of Shinrin-Yoku. She also speaks nationally and internationally on the subjects of nature therapy and integrative medicine. Dr. Bartlett Hackenmiller has been quoted and featured in numerous publications on the subject of nature therapy, including Prevention magazine, WebMD, the Boston Globe, Prevention Australia, and the American Airlines American Way Magazine, among others. She holds additional certifications in herbal medicine and is a certified forest therapy guide. Suzanne lives in Cedar Falls, Iowa.